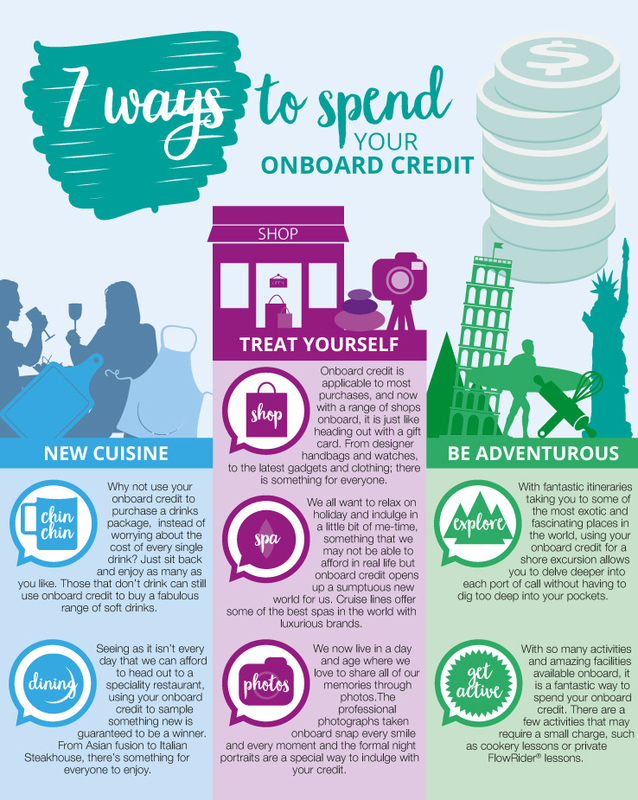 What can I use onboard credit for on my cruise? Onboard credit or spend is free money that gets credited to your onboard cruise account and can be used on a whole host of holiday highlights. With many cruise packages often including free onboard credit, we take a look at just what you can look forward to spending your free money on.